Convenient location and very good housekeeping. They’re clean here. My third visit here. I've stayed now in all the top three rooms. They're all great, really very good value, good location, great staff with a great attitude, everything met or exceeded my expectations. Everything here is great, big room, good bed, clean, good shower, decor, nice balcony, really nice staff, no problem here at all. Great value. Massive room on top floor very private very clean nicely decorated, big bed, good couch/chairs good sized balcony, space in front of property, nice staff, no hassle. The guy that owns it Mike and his staff were excellent! A very considerate man, and if any problems occur like having to leave the hotel early due to a car accident Mike was willing to keep my room open if I was to return. 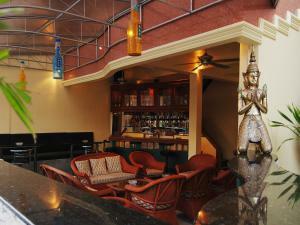 The hotel is centrally located between Pattaya and Jomtien, within walking distance from both. Ideal location on a quiet street. Good public communications. Friendly hosts. Clean and large rooms. The owner was really kind and helpful, she made me feel really comfortable. The room was clean, the bed was huge and comfortable. Flexible check out times. 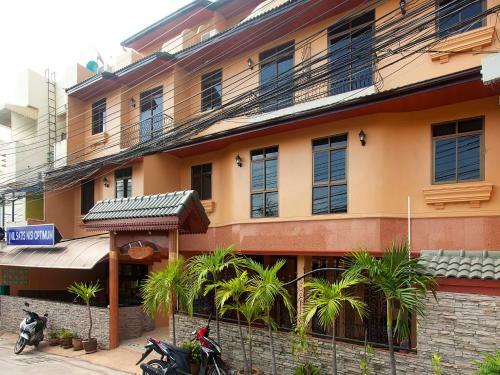 Lock in a great price for Pattaya Garden Apartments Boutique Hotel – rated 8.5 by recent guests! 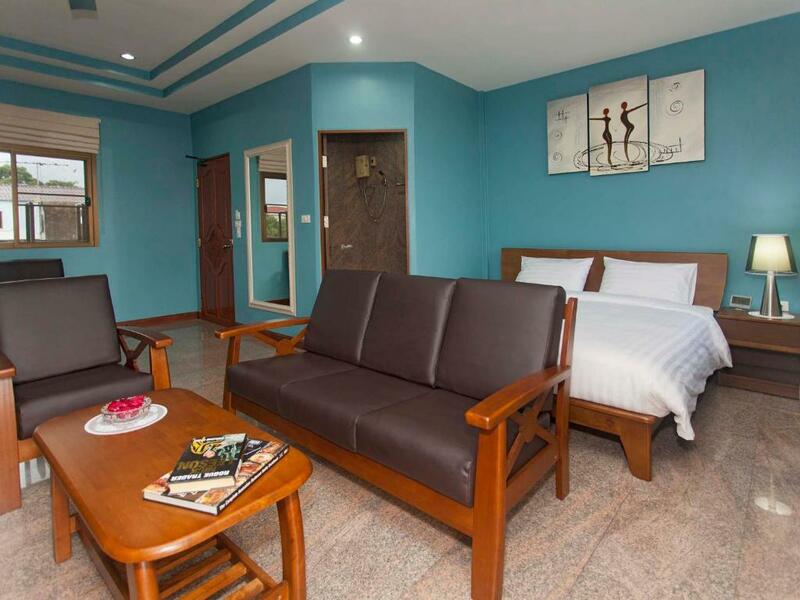 Pattaya Garden Apartments Boutique Hotel This rating is a reflection of how the property compares to the industry standard when it comes to price, facilities and services available. It's based on a self-evaluation by the property. Use this rating to help choose your stay! Only 50 feet from the main bus route, Pattaya Garden Apartments Boutique Hotel is a 2-minute drive from the famous Walking Street. It features a salt water plunge pool with jet spa and rooms with flat-screen cable TV and free high-speed WiFi. 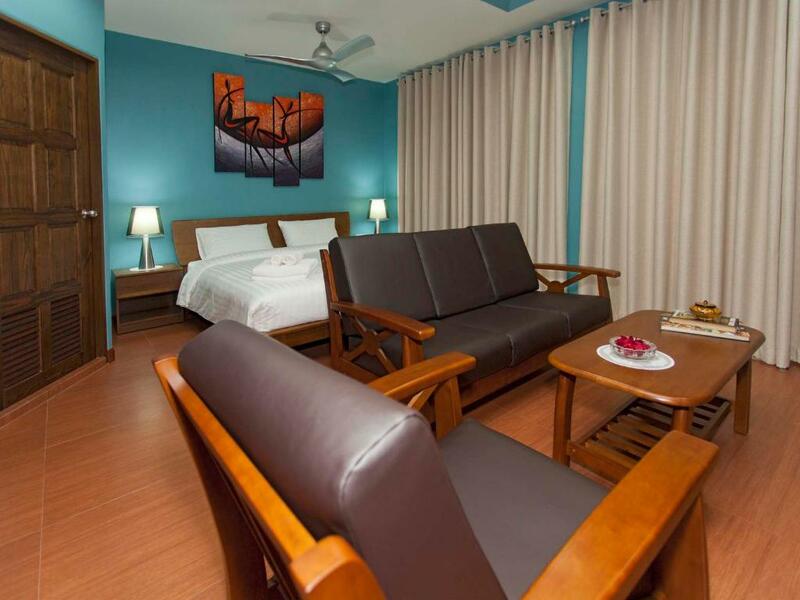 Pattaya Garden Apartments Boutique Hotel is a 3-minute drive from Pattaya City Center and Jomtien Beach. Suvarnabhumi International Airport is a 1.5-hour ride away. The rooms come with a large fridge, a safety deposit box and an IDD telephone. Each room has an attached bathroom with bath toiletries. Laundry service is available at the hotel. A shuttle service can be arranged upon request and motorbikes can be rented. Street parking is available. International and Thai cuisine can be found around the hotel within a walking distance. 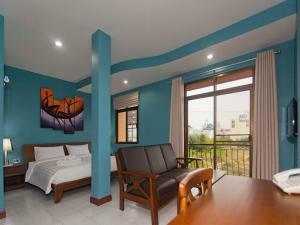 When would you like to stay at Pattaya Garden Apartments Boutique Hotel? Large room features floor-to-ceiling windows, balcony and seating area. It comes with a 42-inch flat-screen cable TV, safety deposit box and tea/coffee making facilities. Free toiletries are included in an private bathroom. 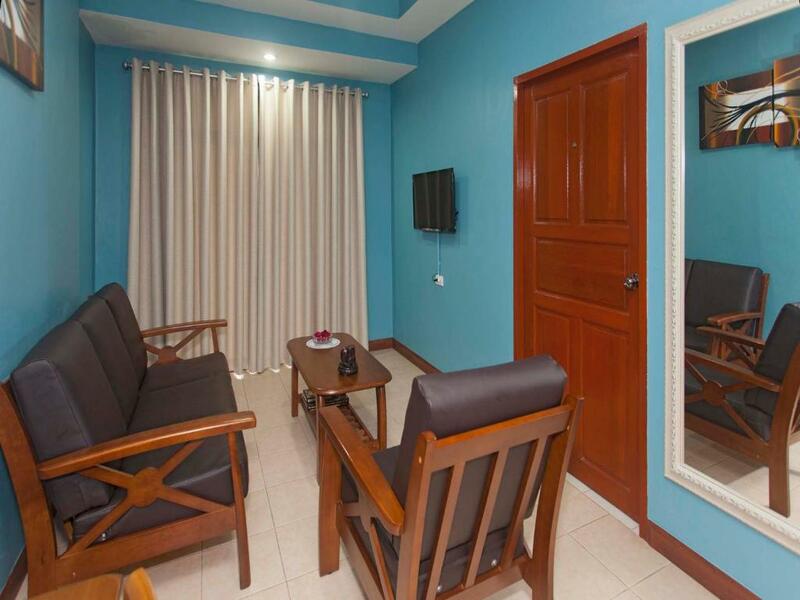 Larger than Standard Room, it features a seating area with sofa and a private balcony. It comes with a 32-inch flat-screen cable TV, refrigerator and safety deposit box. Free toiletries are included in an private bathroom. 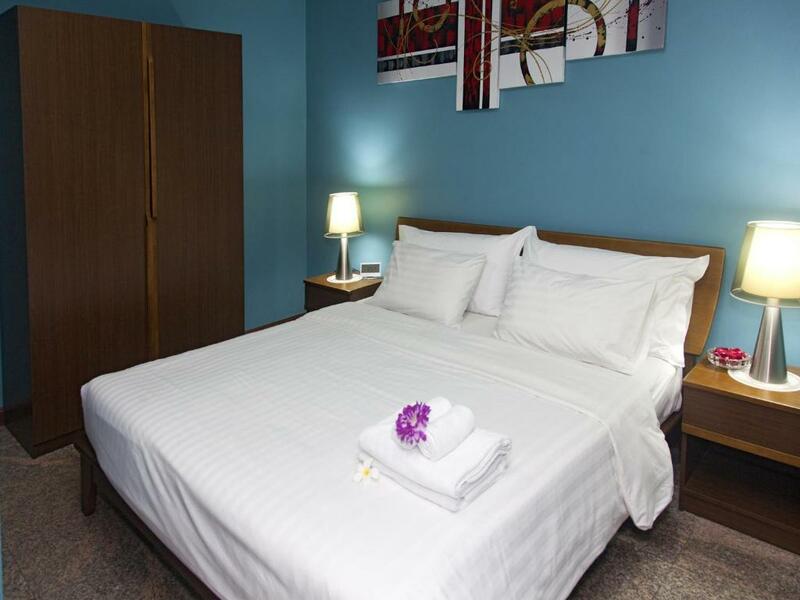 Suite features 2 air-conditioned bedrooms and a spacious lounge room. It comes with a 32-inch flat-screen cable TV, refrigerator and tea/coffee making facilities. Free toiletries are included in an private bathroom. Room features windows with curtains, and an private bathroom. It comes with a 32-inch flat-screen cable TV, refrigerator and safety deposit box. Free toiletries are included in an private bathroom. Very friendly management and staff. We are always available for any inquiries at any time. Questions about the city where to go and what to do is very welcome. Your well being and safety is our main priority to make your stay enjoyable. 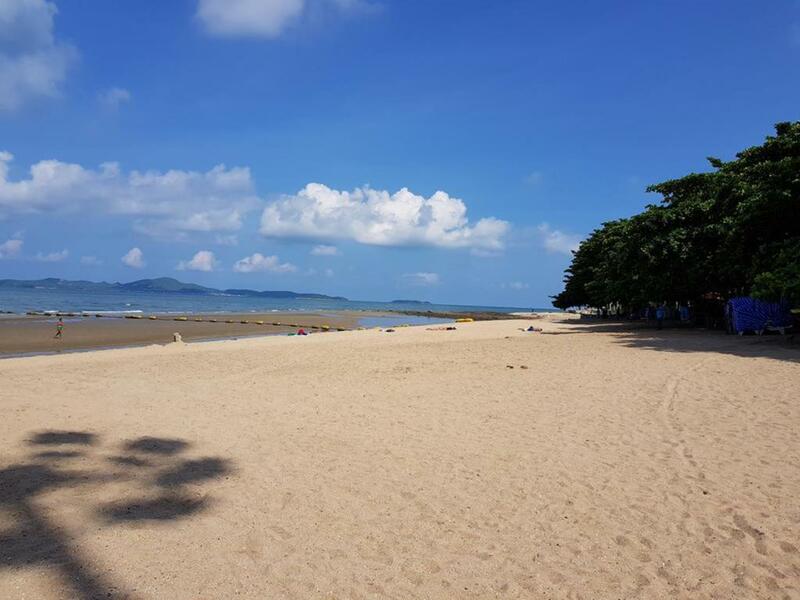 Located only minutes to the beaches and the famous walking street yet quiet, safe and peaceful location, with many of Pattaya's top restaurants scattered around us all within walking distance. House Rules Pattaya Garden Apartments Boutique Hotel takes special requests – add in the next step! The property requires a 30% prepayment via PayPal. Guests will receive a direct email from the property within 24 hours of booking with the PayPal link. To confirm the reservation, payment must be made within 24 hours after receiving the email. 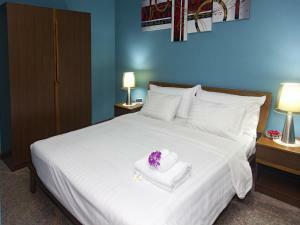 Please inform Pattaya Garden Apartments Boutique Hotel of your expected arrival time in advance. You can use the Special Requests box when booking, or contact the property directly using the contact details in your confirmation. The only problem i had was that the remote control for the roof fan also controlled the roof fan next door, and theirs mine! Pillows little uncomfortable, TV signal/channels not great, sink tap needed fixing. Minor complaints, overall great. Some noise outside at times. Small pool. No breakfast, but could be bought in a restaurant next door. There was no wifi during my 3 night stay. Already knowing that the location was not really centric, I had planned to rent a motorbike upon arrival. However, the only places to rent a motorbike near the property were just scams. I left because of that, if I had found a motorbike, I would have stayed much longer.